This large outcrop of gritstone is thought to have been a favourite haunt of the Bronte sisters. 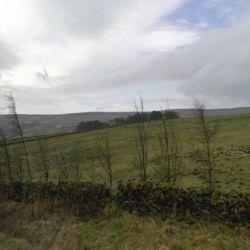 Emily Bronte writes about it being the meeting place of Cathy and Heathcliffe. At the base of the crag there is a hole in the rock, which Emily describes as the Fairy Cave, local legend suggests that unattached people passing through will marry within the year.